Happy International Women’s Day! A List of My Personal Heroines! Happy International Women’s Day! I’m actually more fond of what they refer to it elsewhere: International Women’s Rights Day, but regardless of what it’s called, this is a wonderful day to celebrate the amazing women in our lives that have inspired and motivated us. I have a lot of personal female heroes. So many that it was really hard to narrow it down so I limited myself to women who are currently still on Earth making it a better place while they live and breathe. How could I not choose Mae Jemison? She (along with Sally Ride) has been such a guiding star in my love of and yearning for space travel. Mae Jemison was the first African American to ever travel to space PLUS she’s been on Star Trek so she has most definitely boldy gone where no man has gone before (it’s extra cool because she was first inspired to join NASA because of Nichelle Nichols’ character Uhura). Not only is she an intelligent scientists, she’s also a talented dancer, and has founded numerous companies and foundations to advance technology in every day human life. Learn more about Mae Jemison. As First Lady of the United States, Michelle Obama has been pretty much everywhere in the past eight years. Her dedication to improving the health of our nation’s children and passion for community gardens have been inspirational. She is one of the few First Ladies to ever directly address the issue of childhood obesity and her “Let’s Move” movement has been a huge success in schools. The Obamas even built the first garden at the White House since Eleanor Roosevelt AND had beehives installed on the South Lawn. Her motivation is astounding and I am constantly floored by all of the projects this woman has going. I am so sad that her time in the White House is coming to an end, but I know that no matter where she lives, she will continue her good work. Learn more about Michelle Obama. When I was in sixth grade, we had to do an oral book report. Most kids just stood up front and read from a piece of paper. But me? I was already a little ham (and a nerd) – I dressed up as Jane Goodall and did a report on Through A Window, complete with a stuffed Gorilla at my side and lots of crouched over antics impersonating Jane impersonating the gorillas. Jane Goodall isn’t just someone I admire now, she had a very large impact on me growing up. I even ended up going to college to become and outdoor educator like her. Jane Goodall’s books and teachings have opened our eyes to the animals around us and have been instrumental in how we perceive the natural world. Her work is deeply inspiring to me and her words continue to remind that there is still a sense of wonder to be found in our planet Earth. Learn more about Jane Goodall. Okay so she’s not a real person but I am not limiting this list to just reality. Commander Shepard means a lot to me. Her courage and her commitment to getting things done no matter how hard and long the battle is are an inspiration to me over and over again (no matter how many times I play these games). She’s a reminder to keep going when the going gets tough. She’s a leader and a friend and a hero to not just humanity – but to the whole galaxy. She is fearsome and snarky and always willing to get the job done. She’s there for her friends when they need her and she knows just what to say to piss the right people off. My Shepard might be just who I want her to be, but she’s who I want myself to be too and through her I can model my own action and remind myself of the path that I want to follow through life. She is a survivor and a reminder that I am too. 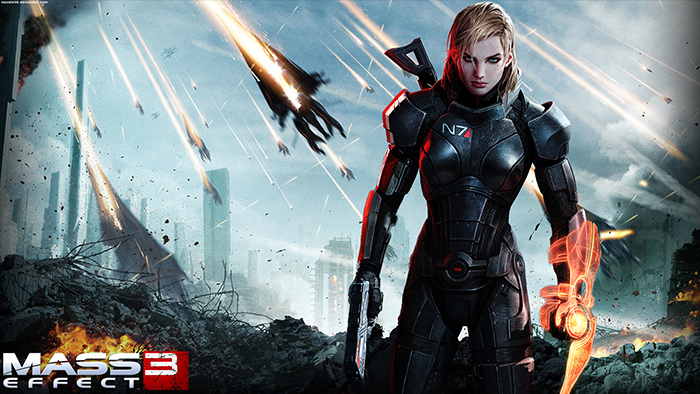 Learn more about my love for Commander Shepard. Now this is a name that most people probably won’t know. Nellie Jeninga was born and raised in Heerlen, Holland in 1935. Growing up, she and her sister loved to perform and sing and eventually became quite good at it – they were even recorded and had a very promising future. But Nellie was headstrong and in love. In 1958, she threw away her fears and followed her heart to Toronto, Canada to be with the man she loved. She left behind her country, her home, her family and everything she knew for a new continent with people who didn’t speak her language. It wasn’t the last time her stubborn nature would lead her on adventure. In 1961, Nellie, her husband, and their two children moved to the United States, to Wisconsin, in the middle of a severe snowstorm. Settling down in Wisconsin didn’t stop her tenacious thirst for travel though and over the years, they would often pack up the kids and roadtrip around the country. She passed down that wanderlust and bravery to her oldest daughter (another of my personal heroines) who then passed it down to her daughter. Which would be me. 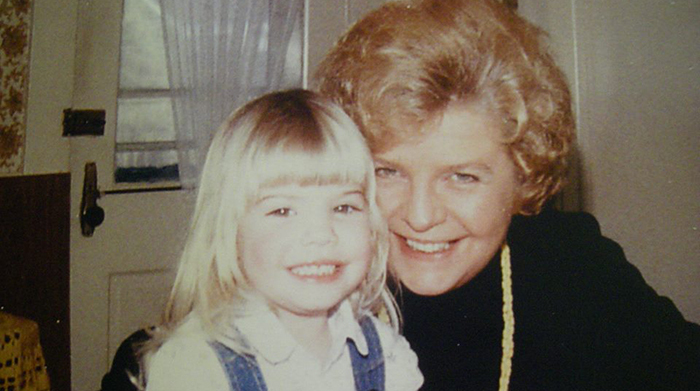 Nellie Jeninga is my Oma and my favorite person in the world (that’s us in that picture). She has never let fear stop her from following her heart and she has been the steadfast rock in my life that I can always come home to. I am proud to say I have her bravery to travel and experience the unknown and I most definitely have her stubborness and headstrong nature. Because of this, I have to add her to my list of inspirational women because she has made my life better over and over again. I love her dearly. These are only five of a very long list of women who are important to me. Others include Sally Ride, Madeleine L’Engle, Amelia Earhart, Annie Oakley, J.K. Rowling, Laverne Cox, Grace Murray Hopper, George Sand, Audrey Hepburn, Ada Lovelace, and so many many more. Thank you for paving the way and making it known that women can do anything they absolutely want! We are strong and empowered and we have a voice. You can find out more about Internation Women’s Day here.